Attractively packaged in a ribboned box. This contains a very generous 250g of fudge, perfect for a gift for sharing. 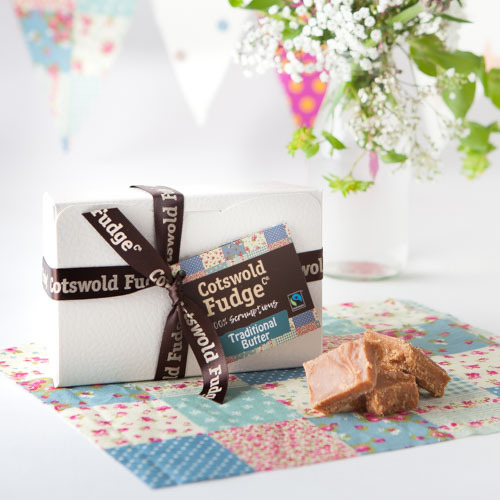 Our Traditional Butter Fudge has always been our most popular flavour and is ideal for those who like a plain style fudge without extra ingredients. It’s melt in the mouth buttery fudge with a spoonful of golden syrup for a smooth caramel finish.